The suburbs is one of five parts of Knox County in the 0.2.0r map. It features 22 buildings of varying size. Zombies have a chance of being in any building the first time you enter it (the only exception being the starting house). This house is used by the tutorial to teach the player combat. There is no bedroom and one bathroom (without cabinets), in addition to the hallway and the kitchen. Not a good safe house, because of its location and the numerous invasion points. Generic house. There is no bedroom and one bathroom. Generic two-story house. Has two bedrooms and one bathroom. Small kitchen. Two story house. Has two bathrooms and two bedrooms. The building is split into two sections, each of them accessible from a single room on the first story. Has two kitchens, one for each section. This building has a room with a register and some kitchen counters, otherwise resembles other large two-story houses. Has two bedrooms and three bathrooms. Also has two medium-sized kitchens. A very large house, the second story has a very open floor plan and a room that opens to the outside. Has three bedrooms, three bathrooms, and two medium-sized kitchens. This building is split into three separate sections. The left section of the buildings has one entrance, a large living area with a staircase, and a separate kitchen and bathroom on the first floor. The second floor has a large open area that leads to the stairs, two bedrooms, and two bathrooms. There are three rooms on the first floor, and five rooms on the second floor. The middle section has two entrances, a bathroom, a bedroom and a large living space which includes a kitchen. It has a total of four rooms, with no accessible second story. The section on the right has one entrance and is the only one room on the first floor that has a staircase. The second floor has a living space, a bedroom, a bathroom and a kitchen. A large open area with 2 sets of double doors and large amounts of food. There is an NPC that defends the store with a shotgun, although you can rush him with a baseball bat or axe and kill him easily. A 7 story towerblock. Each floor is identical and has a bedroom, a bathroom, and a large living area that includes a kitchen. Hiding on a higher floor will almost certainly keep you out of the reaches of zombies. The bank is effectively split into 2 sections. The first area is a single room with a large counter, some couches, and large windows along the walls facing outside. The second area is split into 2 rooms along with a corridor and the bank teller area. Each area has 1 entrance each and it is not possible to pass between them. Not a good base, because of the large number of windows and the bustling activity near the sector. 2 bedrooms, 2 bathrooms and 2 kitchens. A small building with just 1 room and 1 entrance, not somewhere you want to get caught. Despite the shortcomings, this is one of the few places you will find a flashlight, petrol, wood planks and sometimes weapons. A small shop with an upstairs living quarters. An entrance at the front and another at the back is ideal, however the lack of rooms downstairs can mean avoiding any zombies who break down the doors a bit tricky. 5 rooms. 2 on the first floor, 3 on the second. The diner consists of 1 very large area and 1 small side room. Here you can find lots of food such as crisps and pop among other types. There are 3 refrigerators in the back of the diner, full of perishable goods. Not a great base, because of the rather large amount of windows and general activity relatively close to the sector. The burnt out building has nothing at all. There are several entrances where doors would have been. There are no windows however zombies can see through the partially demolished walls. Not a great place to hide in for long, but there are a group of well-hidden crates near it. The pub is a good source of whiskey and empty bottles. Has 1 large area, a small windowless side room and a small area behind the bar. Beware of the jukebox. A shop of some kind. While there are 4 entrances to this building, having only 1 room gives you nowhere to retreat if the Zombies do break down one of the doors, best not be used as a base. A small shed in the park, similar to the one near the starting house. Contains 1 container which sometimes holds wood planks and an axe. Not a very good place to hide as a primary base, but definitely a place you want to scavenge early on. A tiny building at the end of the garden of the starting house. Having only 1 exit and 1 room doesn't make this a very useful building for a base. However, the large amount of planks, nails, and the hammer make it an ideal scavenging location for carpenters looking for wood. A small building in the forest. Full of crates and containing a wardrobe, there is a good chance of finding shotguns, batteries, bed sheets, belts and other items inside of this building. While not actually a building, the park is still a location. It is a huge park with a bunch of trees and the Park shed, in addition to hundreds of wooden walls surrounding it except a few entrances. While not a great base initially, with intense fortification, the park can become a long-term safe haven for resourceful survivors. 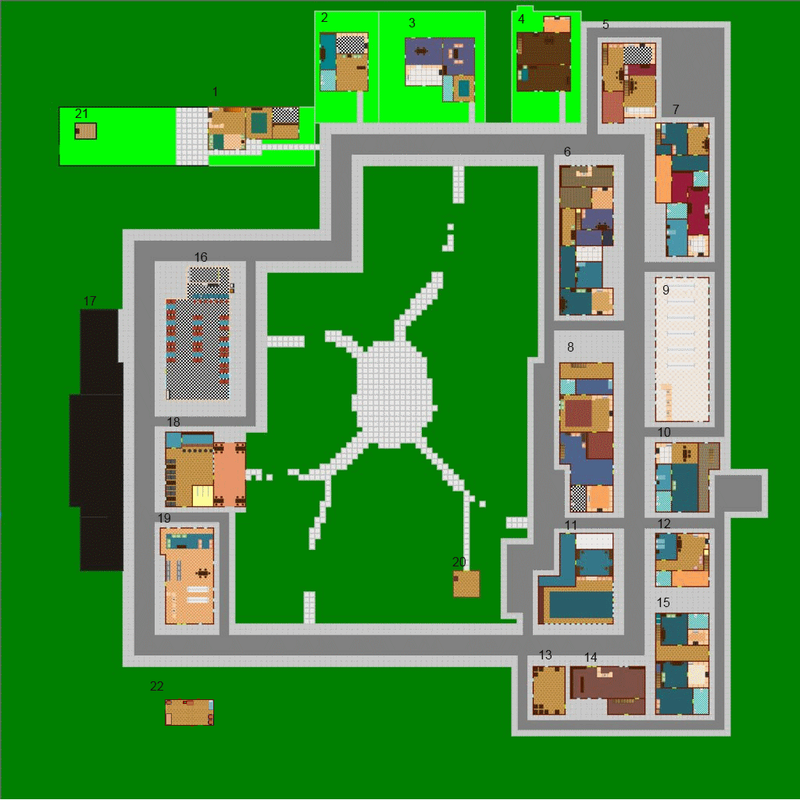 Note: In the 0.1.5 series, the park is infested with zombies, due to the smaller size of the map. This page was last edited on 2 June 2018, at 16:51.